Shiatsu ShinTai is an innovative bodywork therapy developed by Saul Goodman. It activates our ability to not only heal, but to awaken, evolve and align . The journey is equally healing for practitioner and receiver! The Governing Vessel directs the development of the other meridians, organs, glands, chakras – and the Spine is its physical manifestation. The flow of life force through this system can become compressed, resulting in symptoms of dis-ease. Working with the spine, ribs, shoulders and hips you will learn ways to diagnose and treat which help to release the underlying energetic patterns. As the flow of life force returns there is an improvement in health and vitality, improved self-confidence, enthusiasm and passion for life. This course includes practices to help you develop and expand into a new range of perception and energetic awareness, giving you the capacity to give deeply transformative treatments and assist in your own self development. This awareness will also help you to identify patterns of restricted body resonance and determine when, where and how to work during a treatment. This allows us to achieve the greatest result with the minimum amount of effort!. 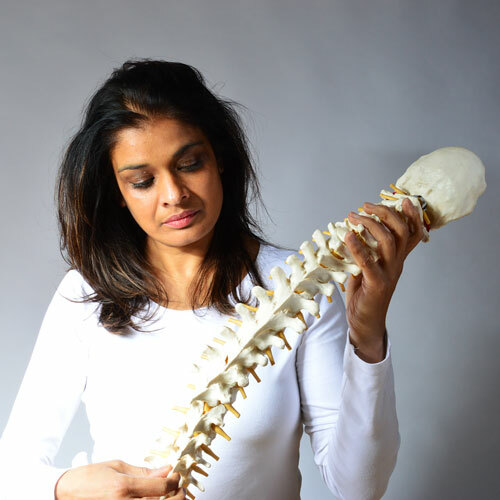 This is a professional development course for healing bodywork practitioners – shiatsu, osteopaths, chiropractors, physical therapists, massage therapists, cranio-sacral therapists.